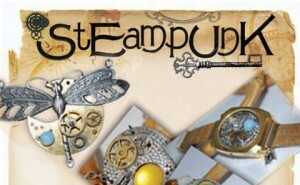 In the Jewelry world, Steampunk has become a aesthetic style for a lot of designers. Fun Paper Beads, You Can Make! Everyone’s trying to go green this year, so why not try it with everyone’s favorite accessory…Jewelry!